With an unprecedented line-up of local artists heading the bill, THE Glenlivet Whisky’s definitive jazz lifestyle event heads for the Sun Met for a 2nd time on 26 January 2019, bringing a sophisticated edge to this one-of-a-kind lifestyle and sporting event at Kenilworth Race Course in Cape Town. Since 1824, THE Glenlivet has set the standard for single malt whisky worldwide, earning the reputation as THE definitive speyside whisky. It’s this heritage of excellence that denotes every aspect of THE Glenlivet JazzTown – a premium lifestyle experience that pairs 5-star hospitality with show-stopping performances by a line-up of South African artists who define their genre. Guests attending THE Glenlivet JazzTown marquee this year can look forward to the ultimate social experience, enjoyed within an opulent marquee environment, with performances by headline acts – multi-award winning songstress Lira, SA’s beloved House phenomenon Mi Casa, and the legendary Soweto String Quartet – set to create a rare kind of magic on stage. This year it’s Dj’s Shimza, PH and Da Capo on the decks, to get guests up on their feet and jamming to the rhythm. One of the biggest names on the local music front is South Africa’s own Dream Chaser and popular The Voice coach, Lira. This internationally acclaimed songbird hits all the right notes and radiates an infectious positivity that touches the hearts of young and old. With her vocal runs and captivating stage presence, she is set to deliver a breath-taking performance. Sharing the stage will be Mi Casa, famously known for fusing elements of Jazz, House and Pop to produce music which people of all ages can thoroughly enjoy, with numbers like Chocolat and Don’t Wanna Be Your Friend, earning them a string of SAMA awards. 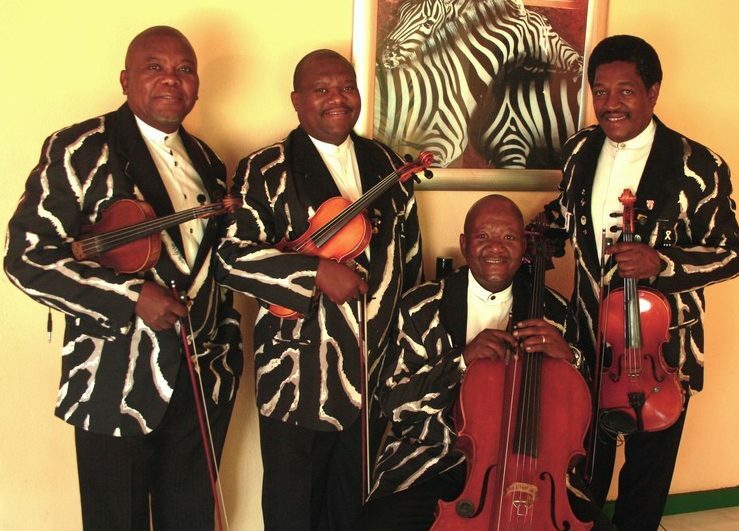 Pioneers of the South Africa songbook, The Soweto String Quartet need little introduction. This genre-defining ensemble who emerged during the late 1980s around the nucleus of the three Khemese brothers — violinists Sandile and Thami, and cellist Reuben – has achieved global fame for its unique brand of African-infused classical music. SSQ is universally loved for hits like Bossa Baroque, Zebra Crossing, Zulu Lullaby and Mbayi Mbayi that catapulted township jazz, mbaqanga and Kwela into the international arena. THE Glenlivet JazzTown will again take centre-stage at this uber-stylish horse racing event, where a generous turnout of South Africa’s top tier celebrities and influential personalities come out to play. Here corporates and socialites can enjoy top class cuisine, fine whisky and a world-class local jazz line-up, along with a one-of-a-kind networking experience, whilst experiencing the thrill of thoroughbred horse racing. Tickets to THE Glenlivet JazzTown marquee are available now at R4 500 per person. www.ticketpros.co.za Alternatively e-mail david@aireygroup.co.za or call 083 564 9400.